Welcome to a Links at RARWRITER Featured Artist page. 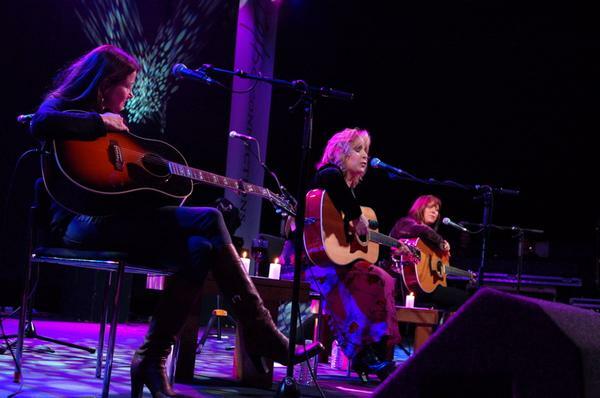 This edition's spotlight is on Links friend GRETCHEN PETERS, the Nashville songbird who has given us country classics in "Independence Day," which was a Grammy-nominated hit for Martina McBride, "You Don't Even Know Who I Am," a hit for Patty Loveless, "Let That Pony Run" as recorded by Pam Tillis, Faith Hill’s recording of "Secret of Life," and "Chill of an Early Fall," a #1 for George Strait. The oeuvre goes far beyond those highly recognized tunes to include such beautiful introspections as "On A Bus to St. Cloud," recorded by Tricia Yearwood, and the soundtrack for the animated feature Spirit, Stallion of the Cimarron. Gretchen's lyric sheet to "Independence Day" hangs on a wall in Nashville's Country Music Hall of Fame. 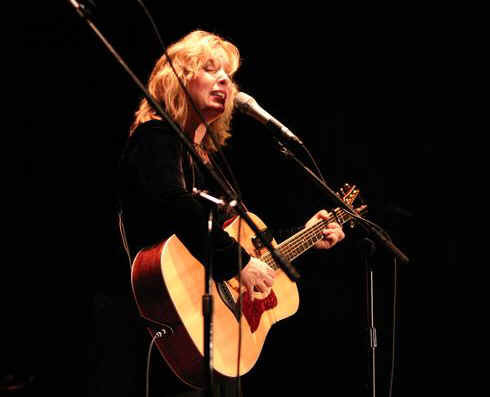 When RARWRITER.com launched a little less than a year ago, Gretchen Peters was one of the big time players who leant to the site their names and even their material, in the form of MP3 files for on line streaming. In that generosity, Gretchen and others brought credibility to the site and RAR owes them all a debt of gratitude. Mutual friends put me in touch with Gretchen last year. I had no expectation that she would even remember me, let alone that she would assume the risk of associating herself with the site. Our paths crossed in Boulder, Colorado over 25 years ago, when she was a young songwriter getting airplay on local station KBCO, and I was writing for a local entertainment publication. She had won a songwriting competition and further examination of her song book had revealed the depth and legitimacy of her talent. At a young age, she seemed like someone destined to become someone. I wrote articles on Gretchen, but knew her only slightly. 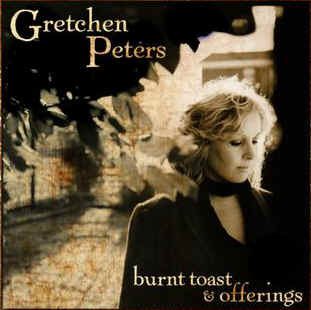 I lost touch with her after leaving Boulder in 1983 and it was years later that I learned that Gretchen Peters had penned country hits, including some real classics. It was a nice discovery, evincing a kind of warm reassurance that what you suspected was true yesterday is in fact true today as well. Gretchen Peters was and is the real deal. 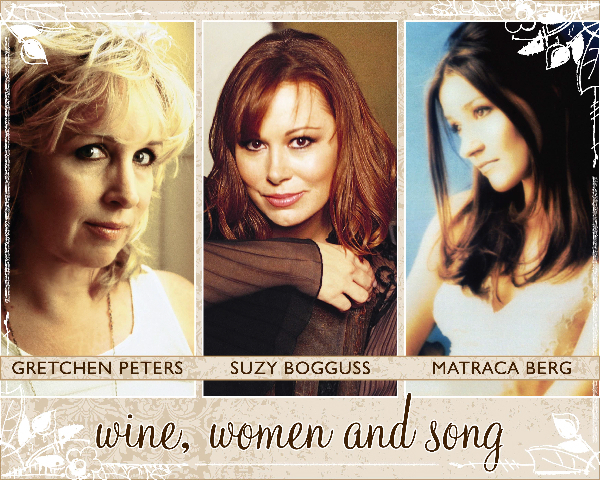 Gretchen is currently touring a career retrospective show, "Wine, Women and Song," sharing a stage with Suzy Boggus and Matraca Berg to swap songs and stories as only writers with histories can. That's where we started with our interview. What has your preparation been like for doing the "Wine, Women and Song" series? I'm sure the music is the easy part, but how about the interaction segments. Have you scripted the show in some way? And if so, what was your model for that? There's absolutely no scripting to the show at all - that's the beauty of it. The three of us are old friends and when we get on stage together we have plenty to say. It's all off the cuff, and differs from show to show. Our biggest problem is cutting down on the chatter so that we can get enough songs in! The preparation was musical, mostly - we wanted to do a "writers in the round" style of show, but with the music more worked out - three part harmonies on lots of the songs. We wanted to sing together, and it's much more fun when you've got your parts worked out and can relax and just sing. Did you bring in someone who has staged these types of events? Is there a Producer? Is there a CD or DVD in the works? We "produced" the show ourselves, to the extent that it's produced. We did put together some walk-in music - a sort of tribute to all the great female singer-songwriters, everybody from Tammy Wynette to Joni Mitchell to Carole King to Bobbie Gentry. And we went to the trouble to create a stage set - nothing elaborate, but we wanted a living room feel, some candles, some wine, anything to make it feel informal, comfortable and intimate. We've been asked countless times about a CD or DVD. We'd love to do all of those things, but our respective schedules and the logistics have made it impossible so far. We couldn't even get a group photo shoot scheduled, so we had to come up with a composite image (left). It's just really hard with the three of us going three separate ways; we're all really busy and constantly traveling. We keep talking about it though. Do you feel comfortable and enjoy the "conversational" format? Or do you find yourself wanting to get to the next song right away? How do you pace such a show? I love the conversation. I think all three of us do. You know, once you do enough of these kinds of shows you learn to read the audience and you just know when it's time to move on to the next song, when it's time to bring a little levity to the situation, when it's time to do a real heart-wrencher. You just feel it. All three of us are very comfortable playing off of each other, and I think we all three have a comfort level with each other's sense of professionalism, which is great - I always know that the other two will keep me on the rails, and vice versa. One might think that having three songwriters together on stage could engender some competitive or protective urge to do songs that would stand up well alongside those of the others, possibly even give you an edge. Comparisons come with the territory, don't they? Have the three of you selected songs that ensure that the show works in some equally supportive way? One thing we're doing is specifically selecting songs that lend themselves to three part harmony. We were really focused on that from the start. I think we all were influenced by the Linda Ronstadt/Dolly Parton/Emmylou Harris "Trio" albums, and we just couldn't wait to sink our teeth into that kind of harmony. It's really something that we all love to do, but in our solo incarnations don't get to do that often. I know that when I've gotten together after hours with Matraca and Jeff Hanna (Matraca's husband and founding member of the Nitty Gritty Dirt Band) we've had the most fun just singing old songs that we knew, singing harmony together. It's how we all got hooked on music to begin with, and it's pure joy. We also made sure to set aside one song for each of us that is sort of a wild card slot - that is to say, it's a song that's done completely solo, without the other two, which means that we each get a little solo section where we can do whatever we are moved to do that night. The set list is very fluid, it changes every night according to the audience and us and the mood. It allows for lots of spontaneity. There is a friendly competitiveness in writers' nights, or guitar pulls, or whatever you want to call them. It's a good thing, usually; it's a bit of a prod to get you to bring your best game. But at this stage of the game we're all beyond any kind of competitiveness that comes from fear, or insecurity, I think. I mean, we've all been doing this for awhile, and we've each got a pretty good sense of ourselves. And, truly, we're all big fans of each other. Suzy writes - "I was talking with Matraca before one of the shows and she said in her self- deprecating way ' Well, I haven't sold as many CDs as you have...' and I thought and then said ' Excuse meeeee. With all the songs you have 'gifted' to other female singers and the albums they've sold, you probably rival Paul McCartney.' I mean, just think of it that way. Gretchen and Matraca have had to have sold at least 50 million CDs! Where are you at, in your heart of hearts, with your career at this time? You have had success and established your brand. Do you feel you still have mountains to climb? Or do you now approach it more as an established professional, with less focus on passion and greater focus on execution? I look back on my career now, and I think it's amazing that I am really right where I am supposed to be. When you envision your career as a young artist, you think you know approximately how it's going to go and how you're going to get there. Invariably your career path ends up looking completely different from your vision. But for me, I'm very happy with where I am. The mountains I feel I have to climb have much more to do with artistic aspirations than commercial ones. Truthfully, I never really envisioned myself as a huge commercial success as an artist - there are so many concessions you have to make to do that, and I don't think I was made of that stuff. I think I was always going to be a sort of niche artist, someone who appealed to a certain kind of music fan, someone who would be best suited to playing intimate venues, theaters, which is what I'm doing now... and frankly, once you get a little older and your ego gets out of your way, you realize that it's really a wonderful place to be. Playing a 500 seat theater full of incredibly attentive, intelligent listeners vs. playing a shed for 50,000 drunk assholes? You tell me which is the better gig! As far as passion vs. execution, I think what I have learned is how to stay in touch with my passion and use what I've learned over the years about execution to control that passion. That's really the trick - to not lose your passion but to learn to direct and focus it. That's the thing that's so endlessly fascinating about playing music, to me - you have to be in the moment, feeling the emotional flow of the song; but you simultaneously have to exert all of the control and professionalism that you've spent years learning. Both of those are important, both of them count. Your ease of execution is what allows the audience to relax, to trust you with the song. Your emotion, your passion is what allows them to believe you. Was it ever your intent to write songs for other people - be be a "song smith" - or have you just written what you wanted to sing? I never thought I could be a song smith. I never had any luck sitting down and writing something "for" someone. The only song I ever actually wrote for someone was "Rock Steady" for Bonnie Raitt, and to my great shock and surprise, she cut it! But generally speaking, I never felt that I had any particular talent for writing "to order". I am only really inspired to write when there's a song in me insisting on being born. And that's not something you do because your publisher says Faith Hill needs a new hit. Do you ever feel satisfied with someone else's interpretation of your songs? Definitely. Examples? Patty Loveless' version of "You Don't Even Know Who I Am". Martina McBride's amazing performance of "Independence Day". Etta James, she KILLED "Love's Been Rough On Me". Jimmy LaFave - I'd love any version he sang of any of my songs, and I've been lucky enough to have two of them recorded by him. Those songs are like my children, and they have grown up and found their place in the world. As with your kids, you have to accept that they now have lives of their own. I certainly don't feel that I am the only one qualified to do my own songs, or even that I am the best candidate, in some cases. How has music in your world changed, since we first met back in Colorado 25-plus years ago? And what musical world do you most relate to now? When I was living in Colorado I was just a ball of desire and ambition. Not that I wanted outright commercial success as much as I wanted respect from my peers, and the chance to be a fish in the "big pond". I was nineteen, twenty years old, and I wanted to do this music thing as a professional - to be respected as someone who really had talent and ability. The funny thing is, I was living in Boulder where there was a very relaxed and informal atmosphere about the music, and although that influenced me, it wasn't until years and years later that I could really see the merit in it. I was so intent on "getting somewhere", getting a record deal or whatever, that I put all my energy into that. I think it was necessary, absolutely - but from my perspective now I see the beauty in playing music simply for the joy of it. I think when you're young you want success without really knowing what it is. Success to me, now, means simply being happy doing what I'm doing. Of course, I have been lucky enough to have had my share of commercial success, so maybe that's easy for me to say. The musical world I am in now, and the one that's most comfortable for me is the DIY/folk world. These are people who I can relate to, who love the same kinds of music I do, who place a premium on great lyrics, melodies, songs. I guess I've come full circle. I never, ever felt comfortable in my skin when I had a record label that was trying to break me as a mainstream country artist. I'm positive that's why it didn't work. I knew that wasn't who I was, and I think all those guys in the radio stations whose asses I kissed knew that wasn't who I was, and my label, somewhere deep down, knew it too. Is there a musical Gretchen Peters within you that the rest of us haven't seen yet? If so, who is she? I think with every album I make there's a hint of where I'm going next. Usually one or two songs point the way. I was so focused on structure, melodically and lyrically, during the first part of my career, that I feel now I'm trying to unlearn some of it. I was just very intent on learning structure, on internalizing it. So maybe where I'm going next is to try to stretch out, to break some of those structural rules, not just musically but lyrically too. I purposely went a little farther out on a limb lyrically on Burnt Toast & Offerings, not to resolve everything, not to explain everything. In Nashville you learn, by osmosis, to be very clear in your lyrics. I had to unlearn a little of that. A little ambiguity is what interests me now. I sadly find that being too experienced in the mechanics of even a passionate pursuit can take the fun, romance and magic from it? Do you listen to music anymore to be entertained? If you do, who do you enjoy? You know, I went through a very difficult spell when I thought I had lost my love of music. It was really a period of years. It made me very sad. Of course, I was in an unhappy marriage with my ex-husband who was also my manager and producer, and so my business and music and personal life overlapped to the point of being indistinguishable from one another, and he was suffering from a pretty extreme case of burnout, too. I had an epiphany in 2004 - I was on tour in the UK and I had a new iPod but had only really used it at the gym, things like that - never just for enjoyment. I slipped the earbuds in the first day of the tour, put on a David Gray album, and suddenly felt more joy than I had felt in years. Partly it was being on the road again, which I had missed so much and which gave me so much pleasure, but I was also finding the joy in music again. It was like I woke up. Just that suddenly, just that clearly - I realized I needed to get back in touch with that part of myself. From that day on I vowed I would never let myself get so dragged down that I couldn't find joy in music - both making it and listening to it. I realized it wasn't music that I was weary of - it was my life. Music was my savior, I just needed, very badly, to rearrange other things in my life to make a place for it. Is Nashville a good home base for you? Are you surrounded by friends and family? What is it like there? Is the shopping good? Do you have "extra-musical" interests? Other creative outlets? How do you enjoy spending your free time? Truthfully I don't have a lot of free time, especially now that I am taking care of my own business, have my own record label and all of the work that goes along with that - it's like I have three jobs. But when I'm not working, I'm hanging out with friends, I'm going to the dog park - there's a whole subculture at the dog park! - or I'm reading, or playing bridge (it's not just for your grandma anymore!) or traveling for pleasure - as if I don't get enough of it in my professional life! I am a lifelong traveler, and even after I stop running around singing I will continue to travel. I am a bit of a computer geek, too; I have been a Mac person for ages and I'm always messing around with iTunes, or iMovie, or iPhoto, or whatever. I love the visual arts and am pretty interested in photography - not technically, in fact I've resisted learning anything about it from a technical point of view. But I do love to take photos and I've been told by artists and photographers that I've worked with that I have a good eye. Maybe they're just flattering me, but I think I have taken some good photos. I have a creative itch for all things visual - I get very involved with the design process when I make a new album. Have you had lifelong friends? Are you extroverted? Introverted? I still have the same best friend I had when I was 14. We met in Boulder and went through Boulder High together. She lives in Nashville now - she sort of followed me here. I would say I'm the type who keeps my friends. I think I am a strange kind of mixture of extrovert and introvert. I am extroverted in the sense that I love parties, love to talk to people and love a house full of people. But I relish my alone-time, too. I have an inner core that I think I protect, and it's my creative well. I have always had that; it's like a well of emotion and it's always there, and I've always been able to tap into it when I needed to write a song. Writing is a very solitary pursuit, and you need to protect and nurture your inner life in order to do it. I have all the kinds of family you can have. A lot of my family is still in Boulder - my mom and two sisters. My brother is on the East coast. My daughter lives in Washington State. And that's my blood-family. I also live with someone, we aren't married but I certainly consider him and his family my family. And then there are my long-time friends; some of them for over 30 years. They're family too. We've gone through Christmases and Thanksgivings and marriages and births and deaths and divorces together - how much more 'family' can you get? If you could pick your perfect day from a shelf, what sort of day would it be? What would you do? It would start with a sleep-in, until at least 10. I can't seem to do that unless I'm on the road and staying up til 2 or 3AM. Maybe a walk in the park, then lunch at the Farmer's Market in downtown Nashville. Definitely a movie - I'm a movie fiend - indie films, foreign films, quirky films... In my perfect day I don't have to cook, so dinner would be at a restaurant, with a good bottle of wine and my sweetheart and one or two friends, maybe. Good conversation and then bed. Nothing really spectacular, but that would be a great day. Pretty simple stuff. Tell me about your new album. Is there a theme? What does it represent for you? This record is what's commonly known in the music business as a "divorce record". Sooner or later it seems like every artist has one. I guess thematically it's about the death of a marriage and the birth of a love affair, for me they happened at the same time. Lots of drama in that. There are some unabashedly straightforward love songs, but there are some painful songs about loss and separation and alienation, too. It's by far the most truthful and autobiographical thing I've ever done. It was hard work, and it was intensely gratifying. People told me I was brave to be so honest in these songs, but I really couldn't imagine any other way of doing it. And it was cathartic, and it was... inevitable. I mean, what else was I gonna write about? You go through life with a relatively uneventful personal life, at least from the outside it looked that way... I was married for 23 years, there was no evident drama; it looked pretty boring. My songs up until this point were written about other people - people who had elements of my own personality, my own characteristics, my own desires and fears and longings - but always in the third person, or fictionalized. This time I was determined to dig deeper, face down the truth, be honest - I felt I really had a story to tell. It really represents a breakthrough for me in many ways. It's the first record I made without my ex-husband, who, when we first married, assumed a sort of mentor/teacher role for me. He was older, he was more experienced in the studio, and I was eager to learn everything I could learn. I was 22 when I met him. Of course, that sort of relationship has to change over time - the student must graduate, go on and do things on his or her own. Somehow we got stuck and couldn't get past that. There were a lot of reasons, most of which which are personal, but bottom line - I needed to spread my wings. That's also what this album represents, among other things. Why was it released first in the U.K.? I assume the U.K. tour was timed to support the release? I have had a long and fruitful touring career in the UK. I am eternally grateful to UK audiences, and the BBC, and certain media people in the UK who noticed what I was doing early on. When I was in the throes of an ill-fated record deal here in the US, and watching my singles die at country radio, over there my first record was named by Mojo as one of the best records of the year, and I was being courted by agents, asked to tour, etc. I don't exactly know why, but I was a perfect fit for the UK market. They don't tend to go for the cowboy hat artists so much as the singer-songwriters. In the UK Steve Earle is bigger than Alan Jackson. Nanci Griffith is bigger than Martina McBride. It's that sort of market. I just fit in perfectly. So I've been on a label in the UK ever since (although I've changed labels a couple of times), and I do them the favor of releasing over there first. It gives them a head start, it prevents their much smaller market (about a tenth of the size of the US) from being cannibalized by import sales, and I just think it's right and fitting. 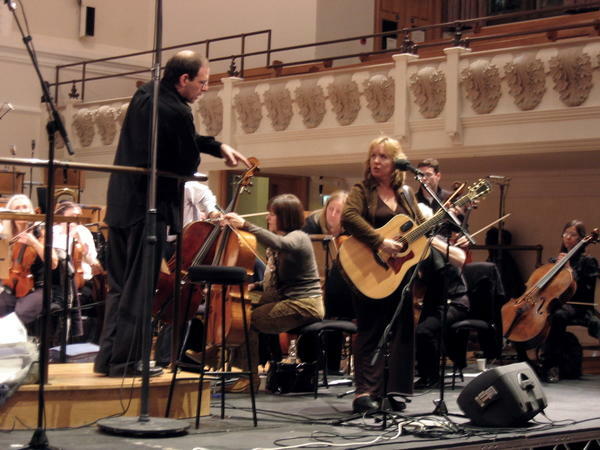 The Wine, Women & Song tour was sort of timed according to the Burnt Toast & Offerings release, but I am doing a solo UK tour (with a band) for the album in September 2007. Do you find that U.K. audiences "behold" you, and other "American country" entertainers, in a way far different from the way you are received "at home?" How does that feel as a performer? One thing I noticed is that I have more male fans over there and more female ones over here! I don't have any idea what that's about. I think the main thing, though, is that I am regarded as primarily a songwriter here - and between my US booking agent and myself we're trying to change that - and in the UK I'm thought of as a singer-songwriter. Those audiences are very knowledgeable about music, perhaps because they haven't been force-fed as much music as we have. Commercial radio is still very new in the UK and the BBC still rules; therefore music fans there are much more proactive in seeking out music they love, because they have to go looking for it. That creates a very knowledgeable and motivated core of fans, and a strong word-of-mouth factor. It also gives the press more weight - critical acclaim still means something over there. In the US you can have incredible reviews - I've got boxes of them - and no discernible effect on record sales. Are you haunted by anything? A song you've always wanted to write but can't quite? An idea or urge that won't go away? A fear of anything you can't overcome? Ghosts? I'm very happy these days. And happily, it hasn't diminished my need to write, or dampened my creative urge, as some people claim it can. I don't think you need to be unhappy to write. I think you just need to be able to tap into your emotional well, which includes sorrow and joy and anger and all of the emotions. That requires being open - being happy or sad is beside the point. I guess if anything haunts me it's losing touch with that creativity. I don't think I will though - I've been this way all my life and although I've had dark moments of the soul when I thought I had nothing else to say, they always precede spontaneous bursts of creativity. I've learned to wait. 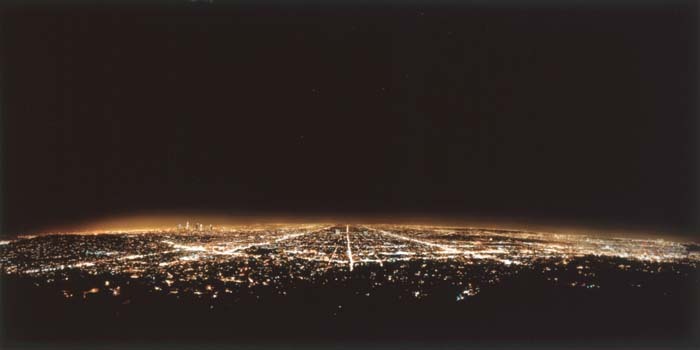 My fears are mostly silly physical fears - like roller coasters, heights - things like that. I'm very brave in many ways, but I won't get on a roller coaster! Any soapbox issues for you these days? Anything you feel strongly about and would like to say? In terms of issues, I think I have the same feeling that a great majority of my fellow musicians and artists have right now, which is horror and disgust at what we're doing in Iraq. And the greater question, which is about America's place in the world, and how much damage has been done by this reckless and dangerous man in the White House. Musicians and songwriters have, for centuries, been on the frontlines in terms of commenting on political issues and framing them in ways such that 'regular' people can understand how their lives are affected. We are the modern-day troubadours, and troubadours have always provided not just entertainment, but social commentary. In the middle ages the troubadours literally spread the news from town to town, and their songs were not just about romantic love but the political issues of the day. What happened to the Dixie Chicks was inexcusable in a country that purports to defend free speech. Absolutely inexcusable. And much of it was promoted by the media, who love a good dogfight because it sells papers/ads/subscriptions. I really lay a lot of the blame at the media's feet. My father was a journalist and TV documentary producer at CBS News during the 60's, and at that time the news department was sacrosanct. There was a strong sense of ethics and a feeling that being a journalist was a responsibility. I think that's all but gone today. Most radio and TV personalities, and their bosses, are more concerned with ratings. And all of that brings about questions about media deregulation, corporatization, and whether there really even is a free press anymore. When I tour in the UK I am stunned at the difference in the news reporting about the war. Those people are really getting the news. They're seeing the caskets, the amputees, the orphaned children. We aren't.